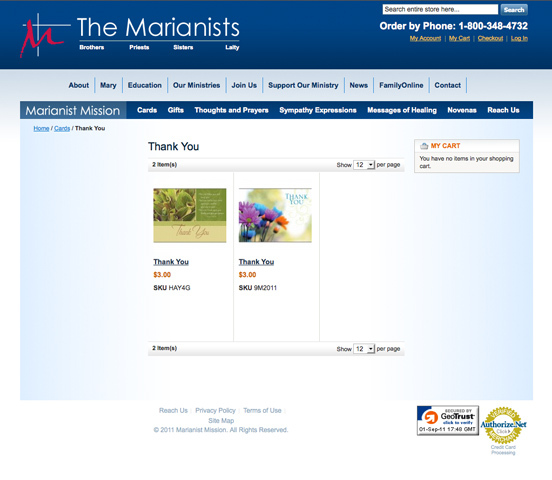 The Marianists had multiple informational and e-Commerce websites with duplicate content management systems. Rose Design developed a new all-inclusive website to unify the organization and brought them all together using a non-proprietary solution. This resulted in a more flexible and cohesive web presence with greatly enhanced e-Commerce and CMS (content management system) tools all under one structure. 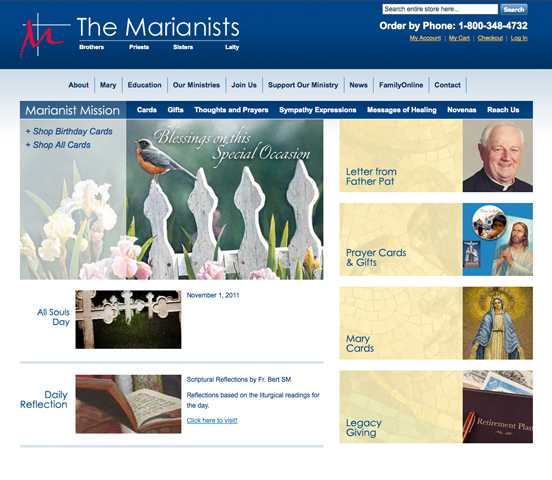 The Marianist family is made of Catholic brothers, priests, sisters and committed lay people around the world. 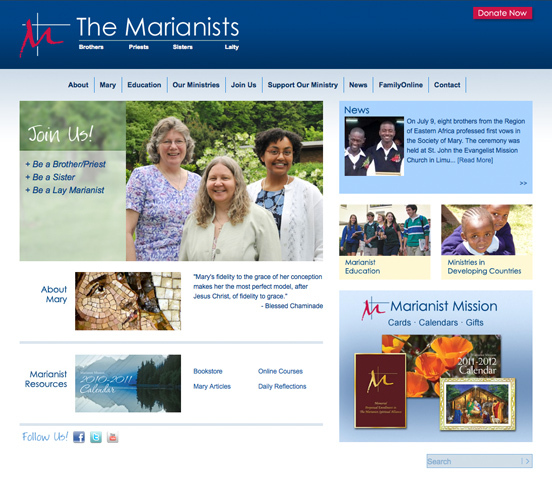 All Marianists look to Mary, the mother of Jesus, as the model of discipleship. They share in her mission of bringing the message of Jesus to the world.